Congratulations! Please send your address via the contact page on my blog, and your copy will be on its way. Watch out for next weekend’s competition, which will consist of two exciting prizes. 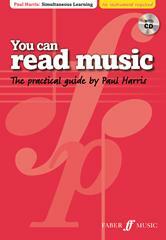 If you wish to purchase a copy of You Can Read Music, click here.